Well, at least welcome to the virtual apocalypse that is DayZ. 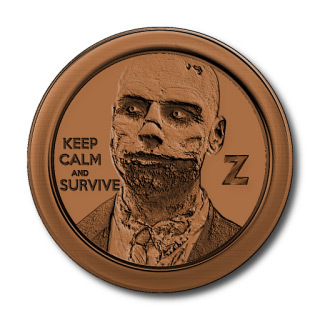 Zedcoin was developed with the intention and mindset of adding the ability to offer a method of virtual payment for goods/services performed within the PC game DayZ. With a player base of over 1 million in the alpha stage alone, our hopes are that players will adopt Zedcoin as an easy means to reward other players for in-game actions. With that being said, it is not our expectation for Zedcoin to be a just another “pump and dump” altcoin. Being listed on a currency exchange is not an initial priority. The first week offers bonus payouts based on a V scale, in order to provide some incentive to early adopters. 1% pre-mine strictly for giveaways to promote coin use in-game. Premine will be documented.